Do you like the national lottery? Get free national lottery tickets every week. Search lotto allows you to play and get free entries to the national lottery: EuroMillions and Lotto depending on what you choose to enter to. You can get until 2 tickets a week simply by doing online searches. Free games, what is the trick? “Once you have created your free account, simply use www.searchlotto.co.uk instead of your usual search engine and when you have performed 25 searches we will give you one free entry into a UK National Lottery syndicate containing 20 people. 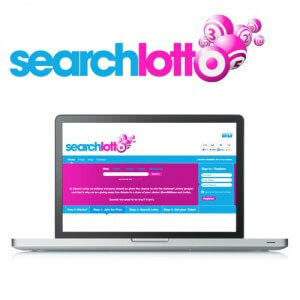 Search Lotto uses results provided by Yahoo!, so you can be sure of getting the best search experience. You will receive the lottery numbers for your syndicate on the day of each draw and are able to print off a copy of your ticket so that you can watch the draw live on TV. The numbers you receive are for a genuine UK National Lottery ticket for the draw of your choice. To clarify: It’s free. Search Lotto generates revenue through advertising partners on the search results page. Each National Lottery ticket is shared by a syndicate of 20 randomly selected users. All lottery numbers are assigned via Lucky Dips direct from the National Lottery. Winners are paid within 7 days of the draw taking place by either PayPal or Bank Transfer. There are no minimum payment amounts, so even if you only match 3 numbers they will pay you. It’s a really nice concept as it doesn’t take time. We all do searches on the web every day. You need 25 to get a free national lottery ticket, 50 per week for 2 tickets. (Not all in the same time, see the section “how we verify searches”). Read our other article about cashback and get £0.52 + a second bonus tickets when you register to Search Lotto using Topcashback link!